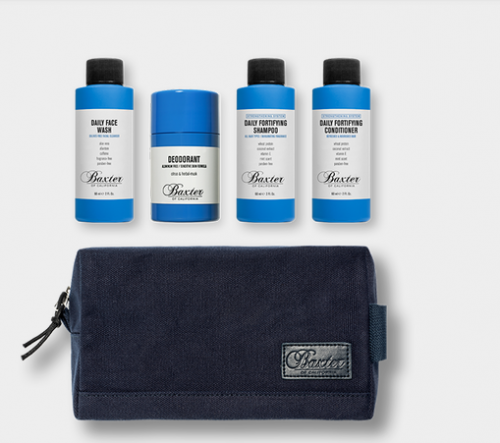 If your a traveling gent with a love of the BAXTER OF CALIFORNIA brand or just would want a proper travel groom kit this may be it. This travel size versions of BAXTER OF CALIFORNIA’s top selling grooming products for hair, skin & body. Convenient bundle makes it easy to try the best sellers all in one place, or to take your favorite essentials on the go. Only available HERE you can purchase this perfect kit from the perfect grooming brand for men.